Viso3D Exporter SketchUp plug-in free trial (30 days) and updates. Supports SketchUp 8, 2013, 2014, 2015 and 2016. Windows and Mac. If you have purchased Viso3D Exporter and want to update to the most current version, download here as well. Before you continue, please enter your email address to be taken to the downloads screen. Before purchasing the Viso3D exporter plug-in, make sure the SketchUp models you want your clients to view, will export and load on the Viso3D iPad viewer. 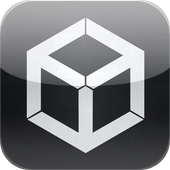 The Viso3D iPad viewer is available for free on the iTunes app store. Search for viso3D. If the SketchUp model is large such as over 500,000 faces and/ or has large amount of textures, you may not be able to load and view it on an iPad due to system memory limitations.